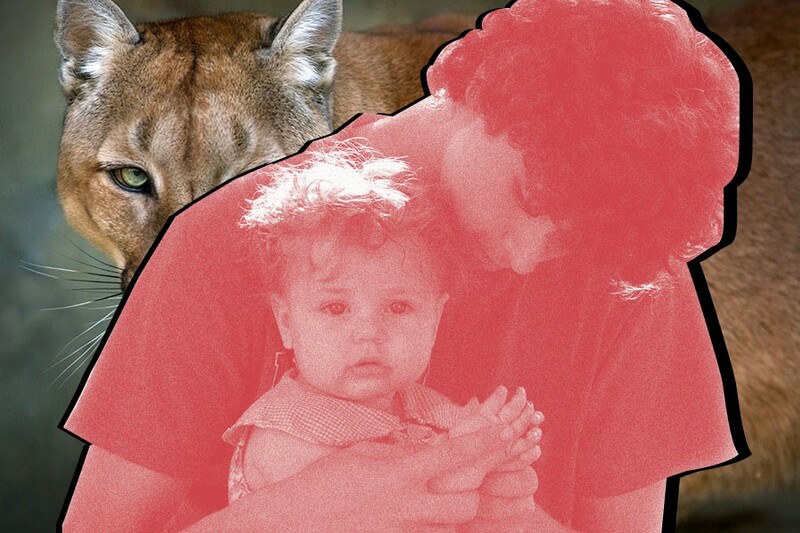 Are ‘Cougars’ the Reason Teen Boys Are Having More Babies? The U.S. has one of the highest teen pregnancy rates in the Western world, with three in 10 American teen girls getting pregnant at least once before they turn 20. Thanks to MTV, the plight and prevalence of the teenage mother has been well — if perhaps irresponsibly — documented. But what of the teenage father? According to a new study conducted by researchers at Indiana University, while the rate of teenage motherhood has remained flat over the last two generations, the rate of teenage fatherhood increase by nearly 26 percent. The researchers analyzed parenthood, education and income statistics from two groups of around 10,000 people, the first group born from 1962 to 1964, and the second from 1980 to 1982. The study found that 7 percent of men in the older group were fathers by the time they were 17, while in the younger group, that figure was 8.8 percent. About 8 percent of the 17-year-old females in both groups, meanwhile, were mothers. What explains the new, higher rate of teen fatherhood? We spoke to lead researcher Maureen Pirog, of Indiana University’s School of Public and Environmental Affairs, to find out. In the study, you offer several explanations as to why the number of teenage fathers has increased. The most eye-catching of these, naturally, was something you described as the “cougar effect.” Can you tell me more about that? We were trying to figure out an explanation for how you can have more teenage fathers and not more teenage mothers, and one of the obvious ways is if young boys are partnering with older women. But then we were trying to understand why this phenomenon was occurring, so we looked at TV listings and found a myriad of shows with “cougar” in the title about young men and older women. If you search the word cougar, you get a bunch of different dating sites and media outlets dedicated to younger men partnering with older women. We realized there’s an audience for this type of relationship; otherwise, this cultural reference wouldn’t be so pervasive. I don’t necessarily mean that the women partnering with younger men are older by a lot, like women who are 40 years old having children with men that are 17, although that would also fit the statistic. It could be a woman who is 20 or 21 who’s having children with a teenage boy. We explain clearly in the paper that we’re really talking about young men with somewhat older women. Is there a reason you used the term cougar? Since this is usually a reference to a much older woman preying on a younger man? Simply because, 20 years ago, there wasn’t a show about older women partnering with younger men. It wasn’t popularized. The acceptance of this type of relationship was rather different — we’re seeing a lot more flexibility with people’s ages. Our social norms about age are very different than they were before, so we just went along with the way the popular media has made the term cougar part of common terminology. We don’t mean anything derogatory — we certainly don’t mean to say that older women are preying on young men. It’s just a way of referring to this change. It’s not my term; it’s been termed by other people. Do you think this trend will continue to grow, based on this idea of greater acceptance for a younger man to be with an older woman? I think we may well see a bit more of that. It was always expected for a woman to have a partner who’s a little older and I think that’s changing. Not just in this demographic of young mothers and fathers, but more broadly. What other factors could explain the rise in teenage fathers? With the older sample group, the office of child-support enforcement didn’t do a good job establishing paternity — there was a fair number of men who didn’t know they had become fathers. Or because paternity wasn’t as official, it was easy to deny you were a father. But in the years between both sample groups, the Hospital Paternity Establishment was put into effect and basically made it so that establishing paternity was far less confrontational, and therefore, a father would be more willing to come forward. In other words, more men became aware that they were fathers, a fact that they were now willing to report. Teenage mothers are often looked at in a derogatory manner. Do you think an increase in the number of teenage fathers will help lessen the stigma associated with teenage parenting? Not really. Young people who become parents early in life are much poorer and they tend to come from more disadvantaged households, with a lot of strikes already against them. These young people will continue to still be heavily disadvantaged.